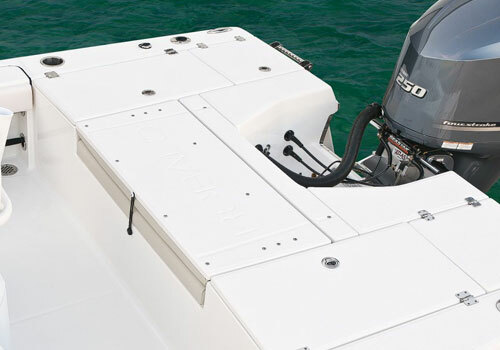 An enormous forward casting platform gives the 226 a big boat feel. Non-skid surfaces provide added traction and security. 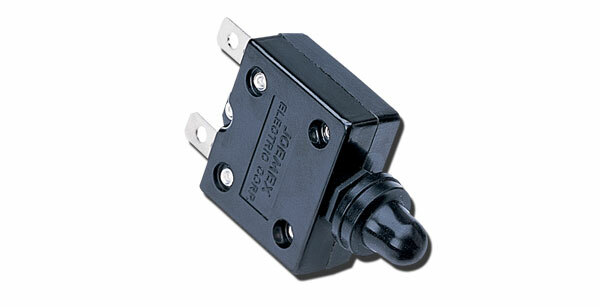 Flush mount latches are an added safety measure. 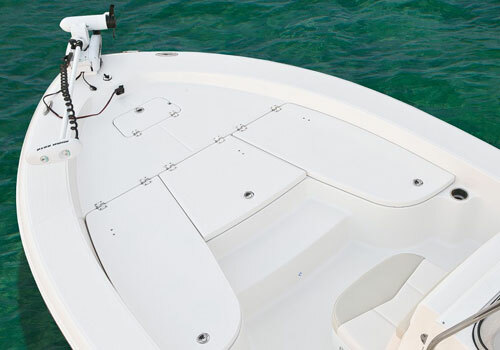 Oversized gunwales are also designed for secure footing. 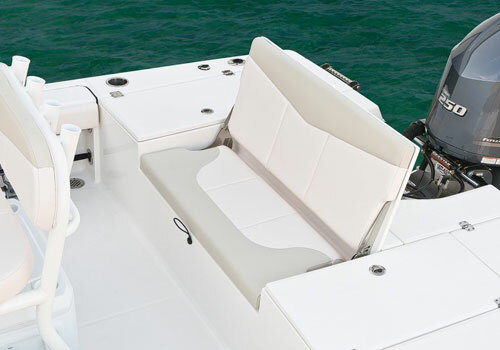 Optional removable bow cushions convert the casting platform to a huge sun lounge or provide added seating. 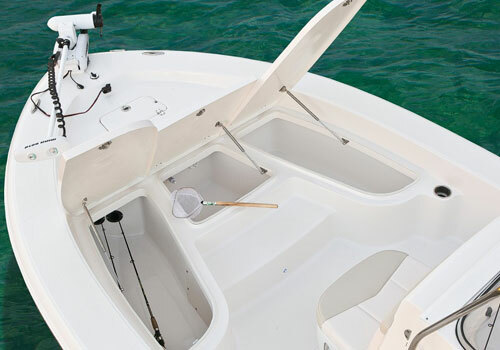 A bow seat is available as optional equipment. 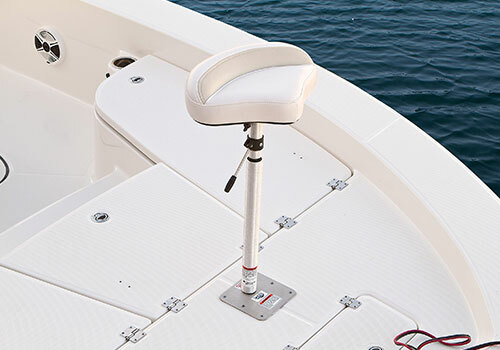 The seat is easily adjustable for fitted comfort no matter what your height. The seat stows in its own secure compartment. 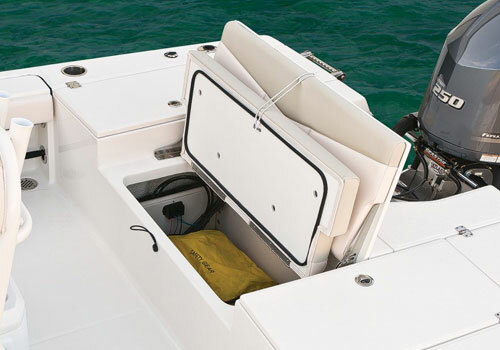 The forward anchor locker is sized for a line and chain. 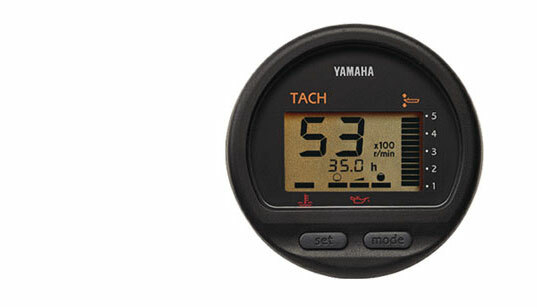 A cradle mount secures the anchor, eliminating rattles. One of three onboard live wells is positioned within easy reach on the forward casting platform. The forward 30-gallon live well features LED lighting and a blue gelcoat finish that are a cut above rivals. Attention to detail is exceptional. The two-tone upholstery features triple French stitching. 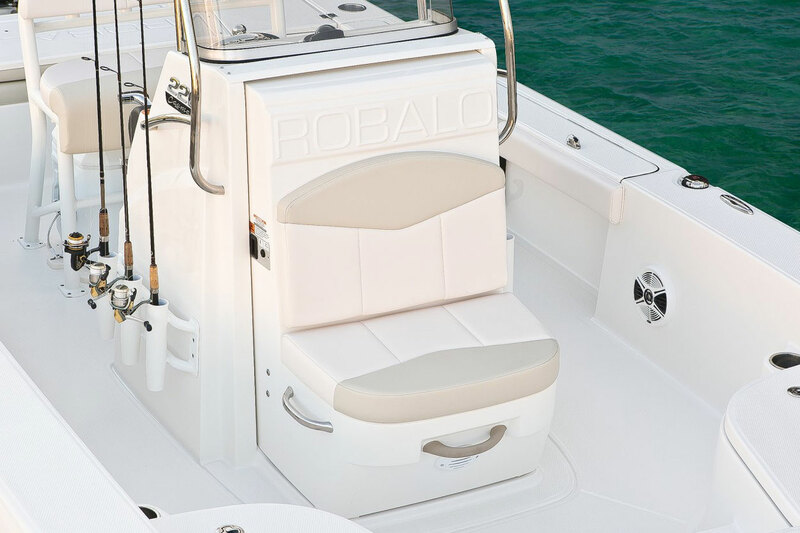 The Robalo logo accent is molded into the console back rest. Stainless steel hand rails are a welcome plus. 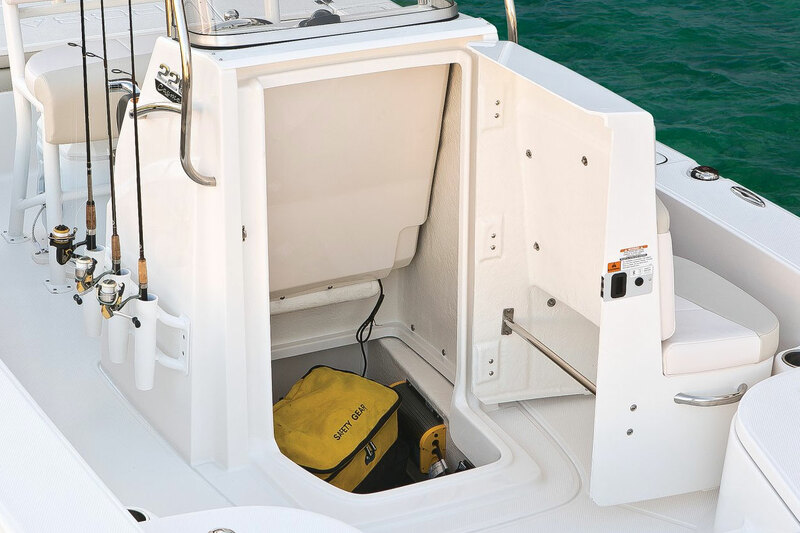 A walk down console compartment turns into a privacy compartment with the addition of an optional porta-pottie. The compartment also allows easy troubleshooting access to dashboard wiring. One of three onboard live wells is positioned within easy reach on the forward casting platform. 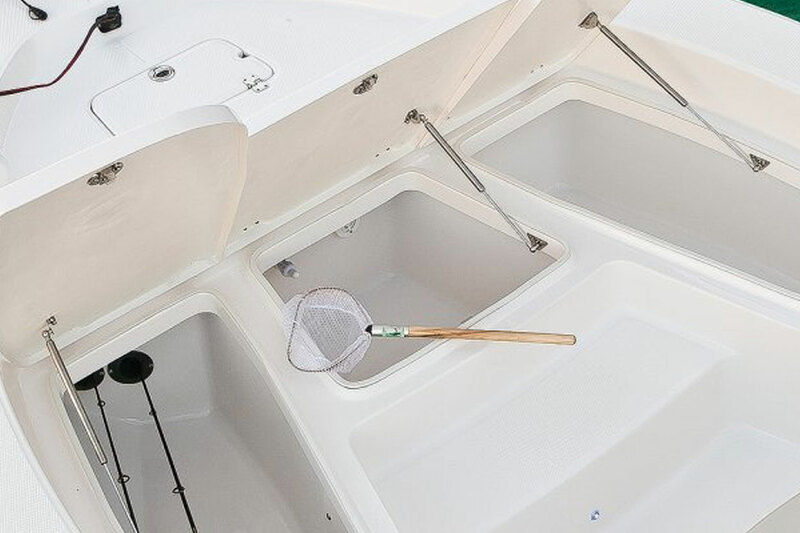 All livewells are insulated and can double as fishboxes or coolers. 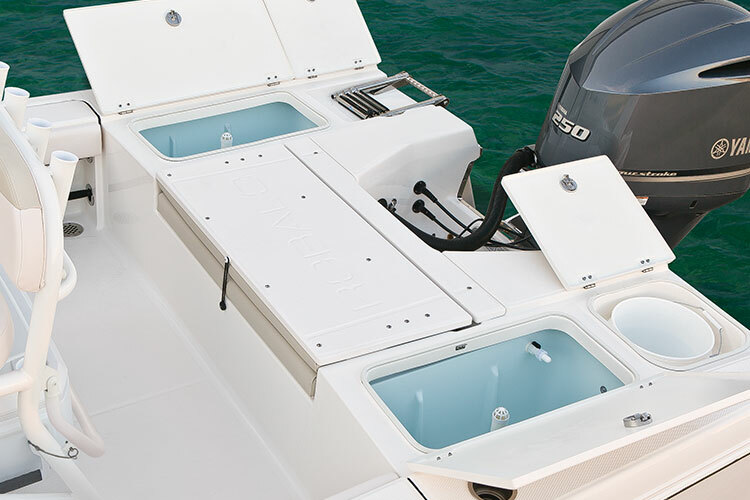 The Transom features twin 30 gallon livewells with blue gelcoat and led lighting. The aft center jump seat adds to the 226's seating capacity. 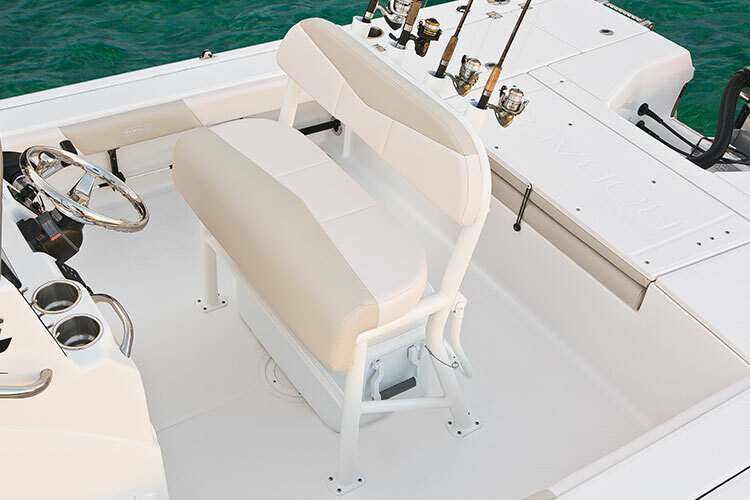 Featuring a folding backrest and stainless hardware, the seat hinges, converting the entire aft area to a huge casting platform. 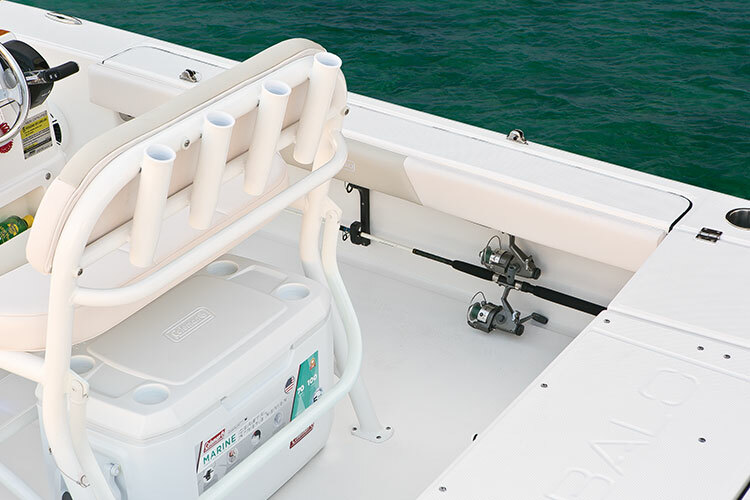 The aft casting platform features non-skid walkways, flush mount latches, and flat gunwales. 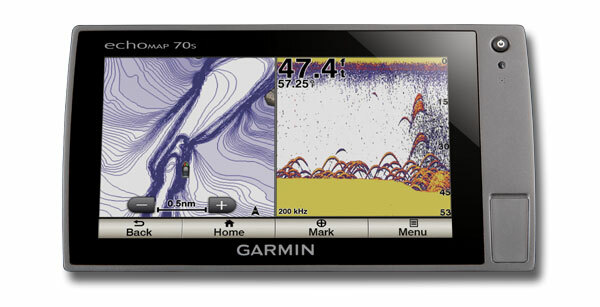 Go ahead and reel 'em in. 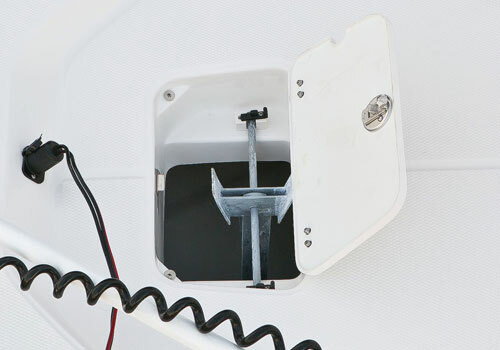 Right where you need it, the casting platform features twin 30-gallon live wells with blue gelcoat and LED lighting. A special compartment provides bucket storage. A three step telescopic boarding ladder with a top-rung grab handle stows out of the way in its own compartment and invites easy boarding and debarking. 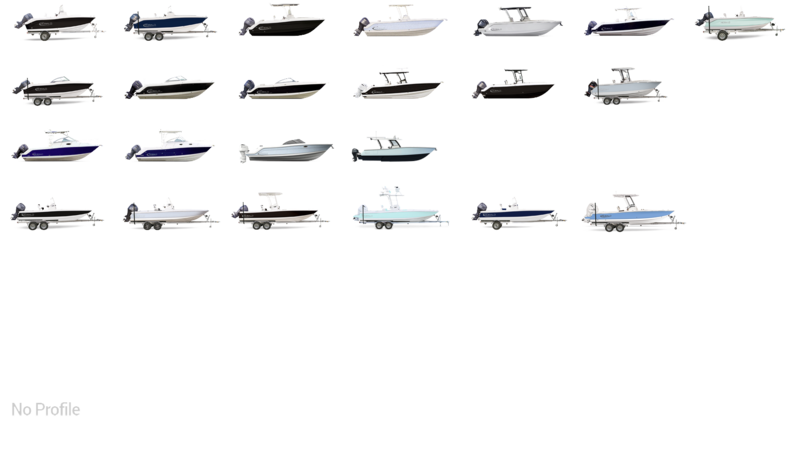 Don't let another road hazard detour your next boating trip again! Our optional spare tire kit gives you the peace of mind to experience a worry free excursion. All of our trailers feature truly submersible LED lighting. No more blown bulbs to replace. The wiring harnesses are coated and loom wrapped to make sure lighting malfunctions are a thing of the past. The optional aluminum trailer with disc brakes is a salt water enthusiast's dream. 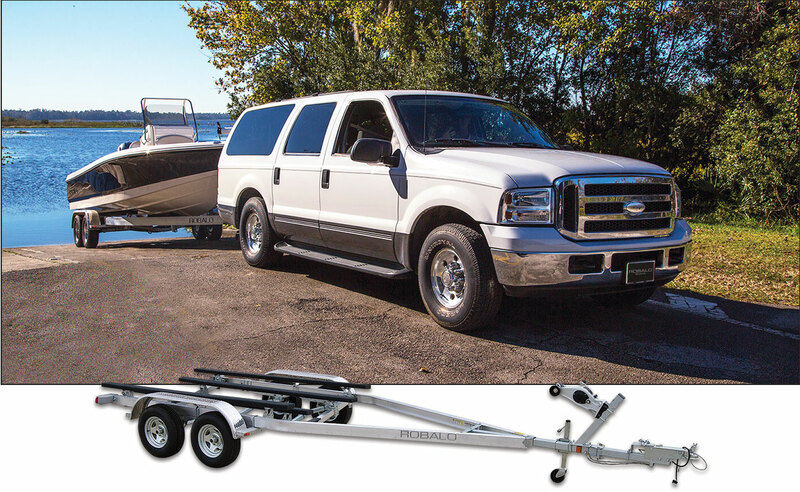 Durable yet lightweight, these trailers can handle anything you can you throw at them. With superior disc brakes, this is an option worth checking out.